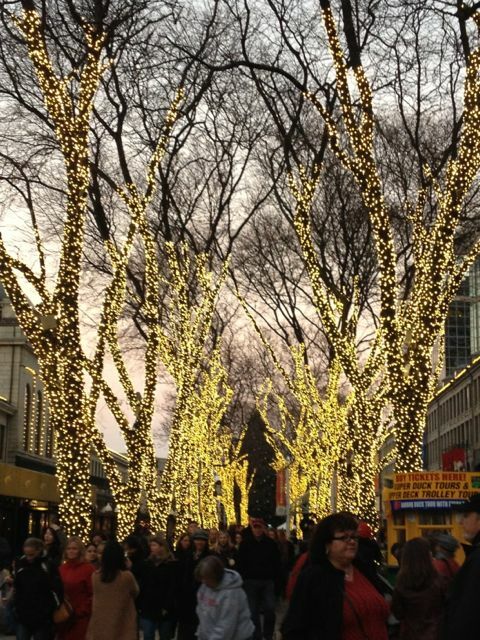 Here are some more pics from my time in Boston. It’s such a great town – easy to walk around, lots of history, lots of Kennedy-related places, lots of Irishness, beautiful parks and water, stunning architecture, Harvard & MIT, a relaxed vibe and friendly people. 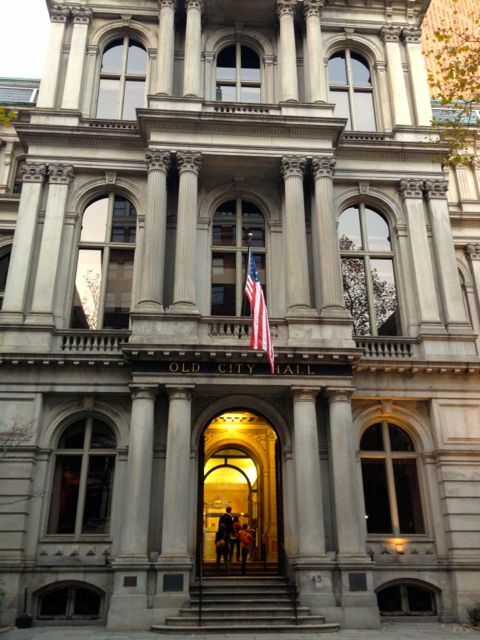 Yay for Boston, I say – I love it! 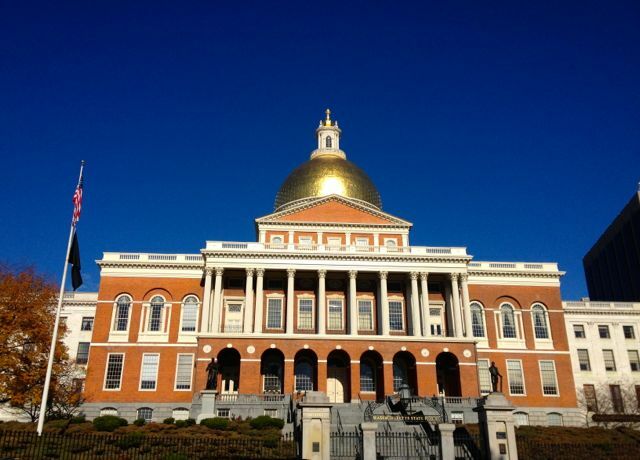 A beautiful day at the State House – the dome of this capitol building is golden as presidents (three, I think) have come from this state. Just trying to save you some money on a guided tour, folks. 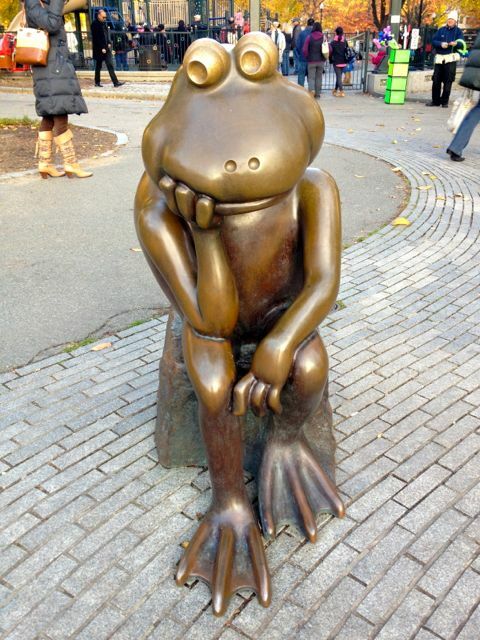 Thinking frog at the Frog Pond in Boston Common. He’s watching over the ice skating rink, which has just opened up for the winter. 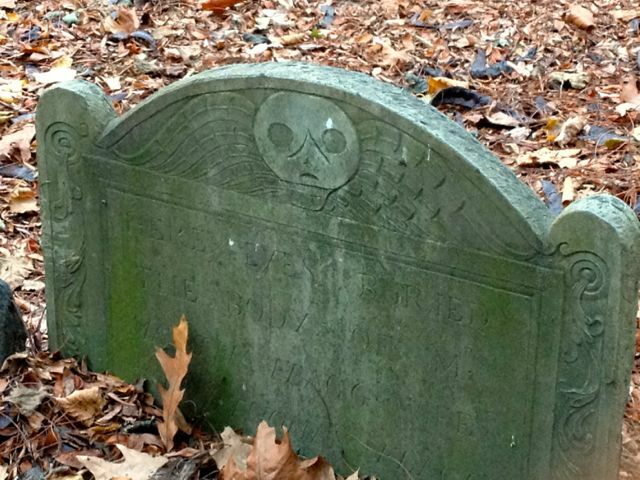 The fairly creepy Granary Burying Ground, with graves dating back to 1660. The late afternoon light and the cold mist made it pretty spooky. 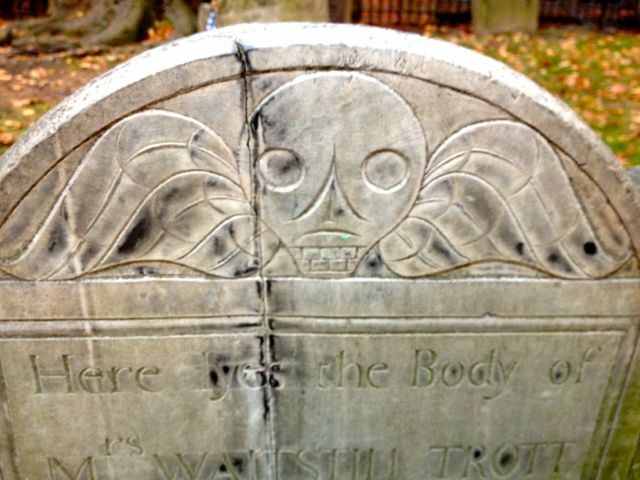 Most of the gravestones had this image carved (or whatever the right word is) into the top of them. Eeeeeek! It’s beginning to look a lot like Christmas here too. Brings back memories Cate. 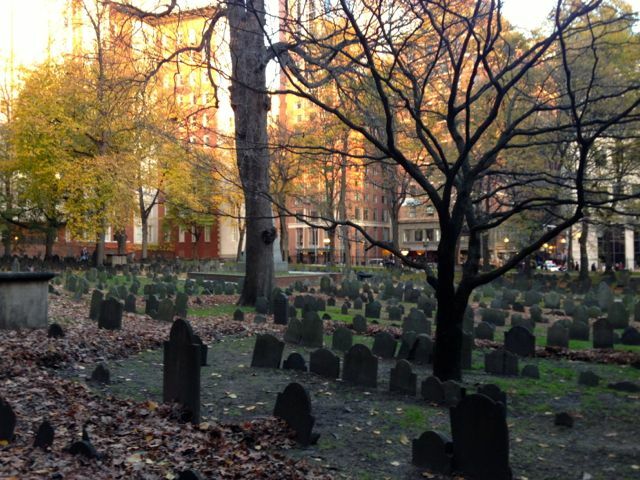 Samuel Adams is buried in that graveyard !. Boston beer works is great to visit too. Across from Fenway park. And Louisa May Alcott – my younger years would be less rich without Little Women and Dude (lloks like a lady)! Great photos. Love the frog.